the real meaning of disruption is not understood. 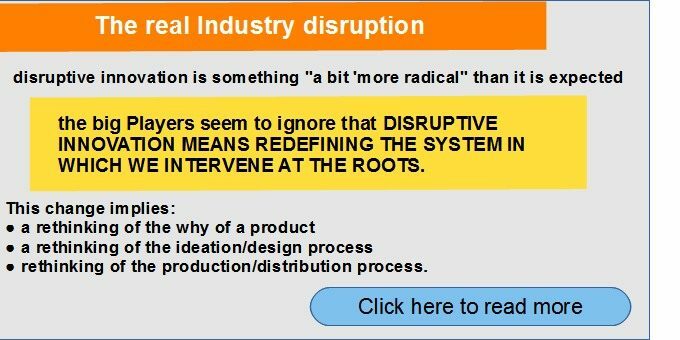 That is disruptive innovation is something “a bit ‘more radical” than it is expected. Disruptive means, in fact, redefining the system in which we intervene at the roots. 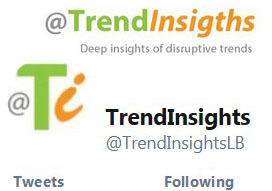 Instead today we talk about “industry disruption is being caused by a shift in this paradigm”, but in reality it is claimed that disruption (a “revolution”!) is about improving the skills of the “sales staff”; or in making “disruptive consumers” “more well-informed about products”. Disruptive is a real paragidm shift! We recall that Paradigma means the basic Model on which a System is founded. Which means that applying disruptive innovation implies rethinking upstream of the automotive industry. This is the new Revolution of the Market (Disrupitve Age°) that is based on a radical change in the system of products (and production) of the Industrial Era. ● rethinking of the production / distribution process.